LXXY BALI is the official venue for ULTRA JAPAN'S OFFICIAL PRE PARTY 2018. Presale tickets are 100k including a drink while On The Spot tickets are 200k. 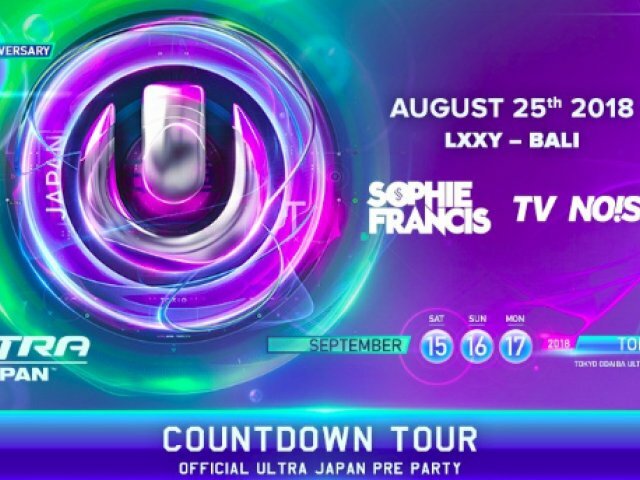 Dont miss out and tell your friends becacuse one lucky winner will win 2 tickets to Ultra Japan on the 15-17 September 2018 including flights and accomodation! Many more surprises awaits!